Collins View is a neighborhood in the Southwest section of Portland, Oregon. 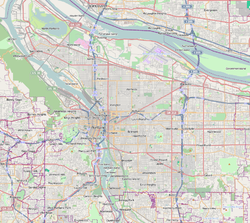 It borders the neighborhoods of Marshall Park and Arnold Creek to the west, Tryon Creek State Natural Area to the south, Dunthorpe (in unincorporated Multnomah County), River View Cemetery and River View Natural Area to the east, and the South Burlingame neighborhood to the north. The campus of Lewis and Clark College is in the southeastern portion of the neighborhood. This page was last edited on 29 December 2018, at 00:42 (UTC).